A few years ago we packed up and moved our family to a new home in a new city with a new school and new employment. Every day leading up to the move was full of real estate issues, cleaning house, planning for the transition, etc, etc…Moving falls in the Top 5 list of most stressful life events we encounter-it is a time of rapid change. If you would have told me five years ago that this time in my life was coming, I wouldn’t have believed you. For the past four to five years, I’ve been sitting on my couch in the quiet, thinking, pondering, and sketching in my art journal. I’ve been going to my studio adding paint to canvas. I’ve been applying to art fairs and art exhibits, traveling and sharing my work in an ever widening circle around central Iowa. 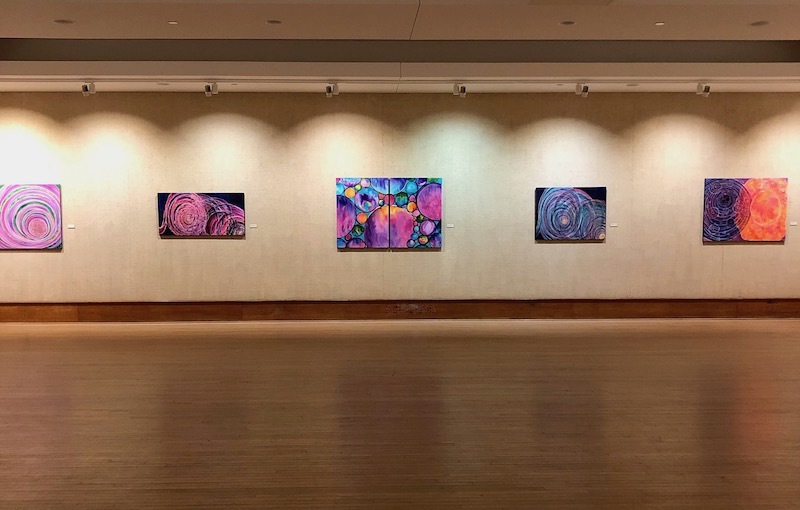 One day, last winter I was asked if I was interested in exhibiting my work at the Iowa State University Memorial Union. I said “Yes” and agreed to bring 25+ medium to large paintings to be hung in December and January, which is good timing for me since I don’t normally travel for art shows during the winter. I spent this year looking forward to the show and creating new paintings knowing that the exhibit date would be coming up following my art fair season. One other rather strange thing that has been happening to me recently at art fairs is that several people have repeatedly mentioned to me I should be exhibiting my work in Florida. Now as an artist from the heart of the prairies in Iowa, this was initially surprising to me. Doing an art show in Florida was not something I imagined myself to be doing in the near future. But, clients began to purchase my paintings and telling me they were planning on bringing the art to their condos in Florida. 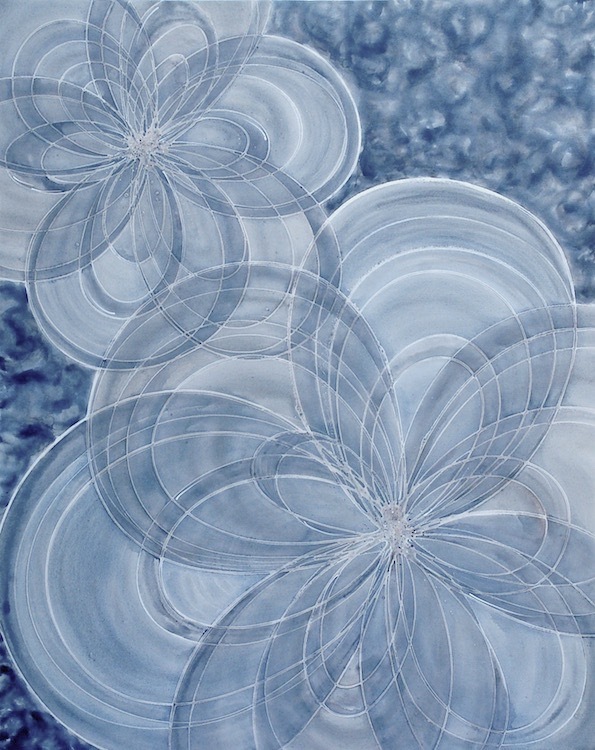 Others were telling me my colors and swirls and designs reminded them of water and I should be showing them in Florida. I began to listen to the comments about Florida that kept coming as I shared my work, and this fall decided to apply to art fairs in Florida for the month of January. By October, I started to get acceptance letters from a couple of Florida shows. I got waitlisted to a few shows (“waitlisted” is artist talk for what happens if you almost make it into the show-it means if another artist drops out of the show, they might call you) and I got rejected from a few shows (which is another thing that happens frequently to artists). By Thanksgiving I had to finish all of my paintings for the Iowa State show and I had to make decisions about what Florida shows to attend and how I was going to handle all the logistics of going to Florida. 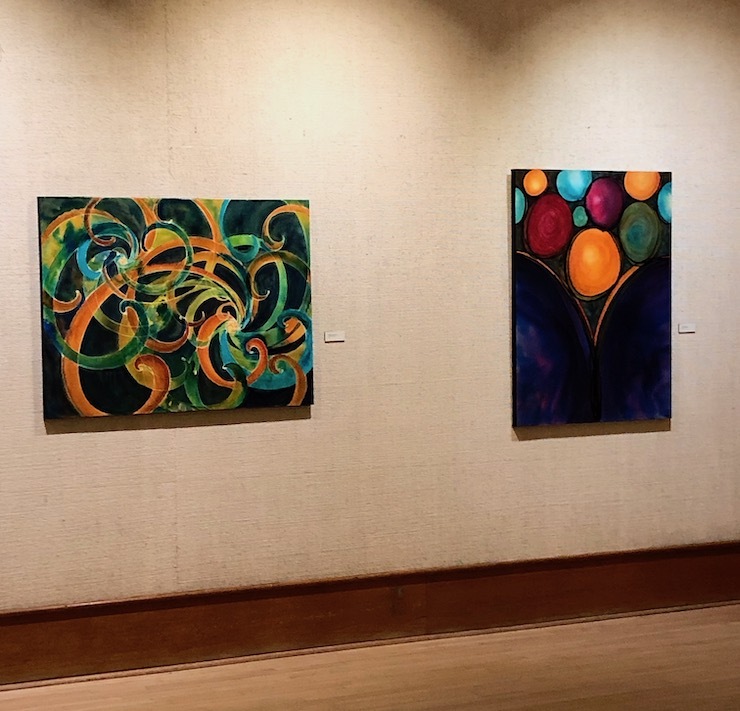 And then, after a year of planning, painting and preparation, my art exhibit Nuances of Freedom opened on Dec. 14 at the Iowa State University Memorial Union Gallery. Over the last month, I’ve had a delightful time sharing the show with friends and family who have visited over the holidays. A couple of school groups are scheduled to visit the gallery, who I have the opportunity to talk with about the art. I’m looking forward to the upcoming Art Reception on Tuesday, Feb. 5 from 6-8pm in the Memorial Union Gallery. For more information on the show, visit Memorial Union Exhibits Ames Artist Van Zee’s Work-Ames Tribune. In addition, I have my first art fair in Florida this upcoming weekend. I’ll be sharing my art at the Las Olas Art Fair in Ft. Lauderdale from Jan. 5 & 6. I’ll also be exhibiting at Boca Fest in Boca Raton, FL on Jan. 12 & 13 and the Boca Raton Fine Art Show on Jan. 27 & 28. If you would have told me even a year ago that I would be simultaneously having a large exhibit of my work here in Iowa, while doing three art shows in Florida, I wouldn’t have imagined it would be possible. It’s like the journey to creating the Nuances of Freedom show spilled over into other parts of my art business and my life. Stepping into a lifestyle of choosing freedom on a regular basis, helped me to find the creative courage to pursue other goals. Our human condition is to not feel freedom, but to focus on pain, pressures, restrictions, perfectionism, doubts, and fears. But, expressing our creativity helps us to tap into our inner core, to tap into our spirit within where vast resources of energy, abundance and intuitive knowing await. Expressing my creativity helps me to process my life, to leave a record of the fact “I was here” and to share the beauty I see. Painting allows me a place for my internal thoughts and insights to be processed visually. We all have things we want to do in our lives-passions to pursue, dreams to fulfill, hopes that life could be different. We all experience pain, hurt, fear, and at some point we have to decide “what is going to win?” Will it be the lies or the truth? Am I going to live a restricted, “safe” life or a life of freedom? I’m not talking about the freedom to do “whatever we want, when we want to” or the freedom to hurt or injure others, or our own bodies, but rather an internal freedom to make choices that will be healthy and life giving to us and those around us. 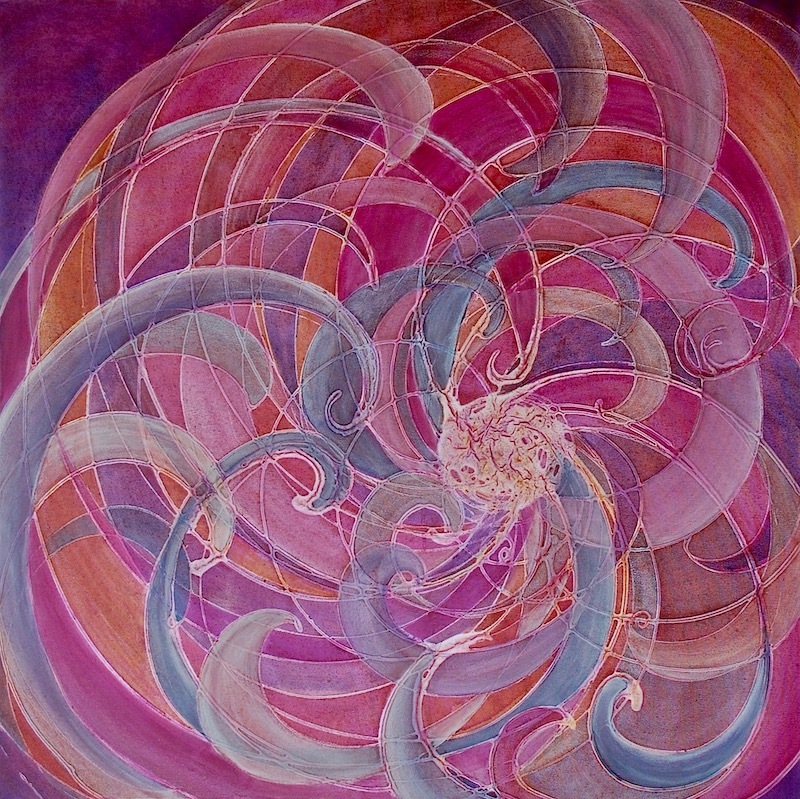 I know that art can move us, heal us, inspire us and assist us to make sometimes imperceptible shifts and changes that can eventually, over time, with repeated actions, help us to make choices and develop habits that break us free from the negative and bring us to places we may never have imagined possible. I hope that the new year brings you fresh perspective and new hope for the possibilities that lie ahead. 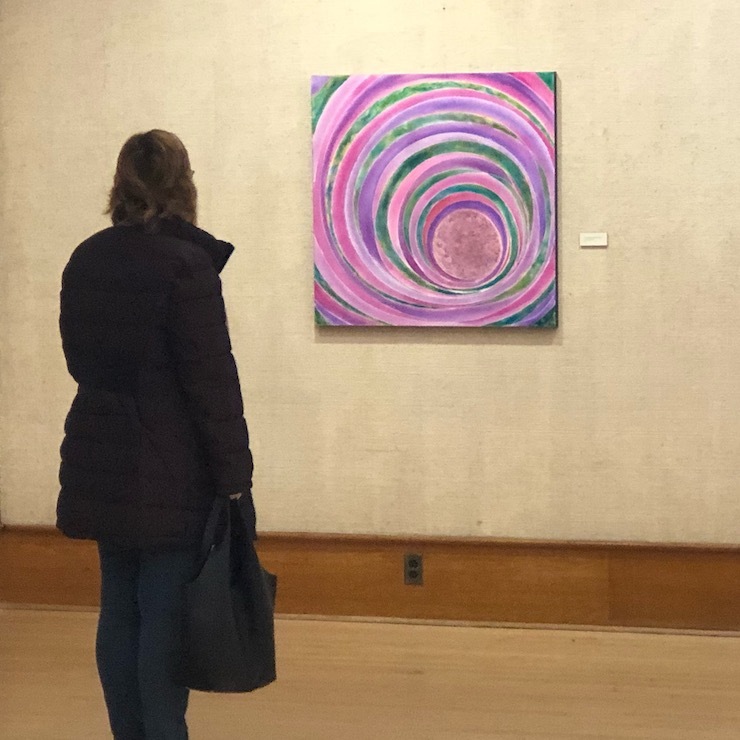 My show at the Iowa State University Memorial Union is available to view entire month of January and until Feb 6. 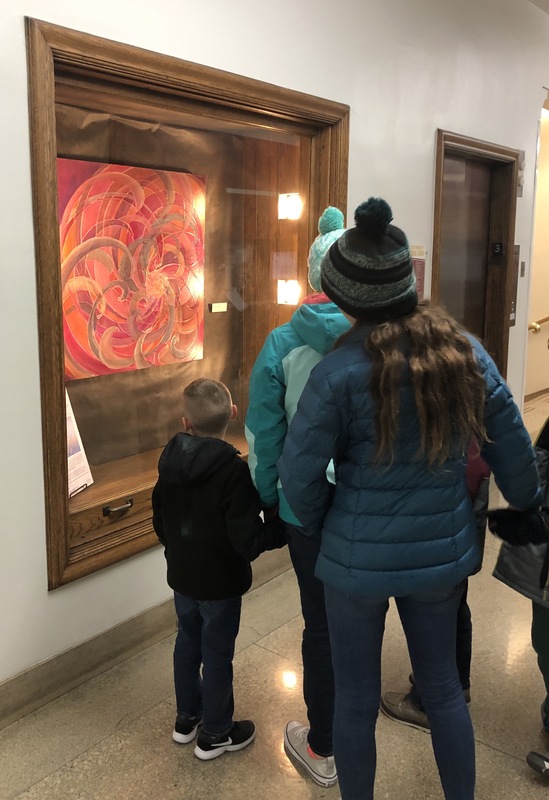 There will be a closing Art Reception on Tuesday, Feb. 5, 2019. 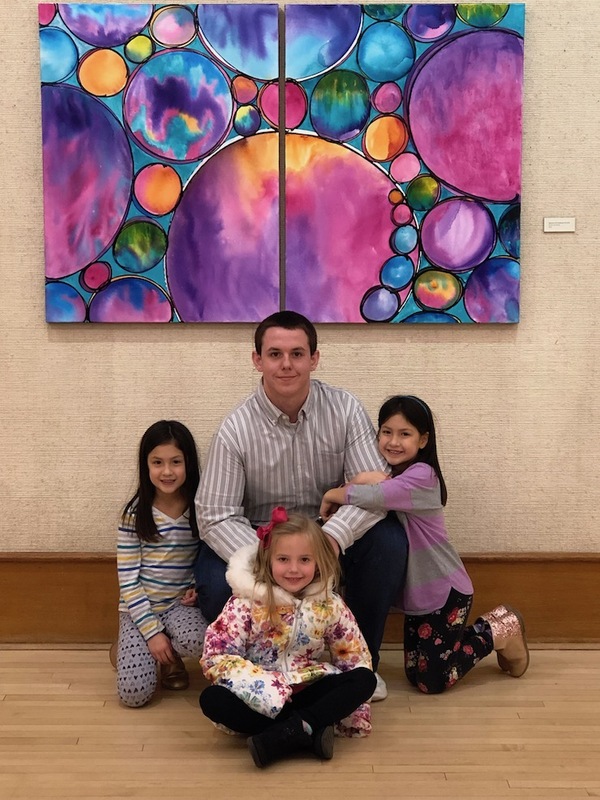 More info about the show is featured in “Memorial Union exhibits Ames artist Van Zee’s work” from the Ames Tribune. 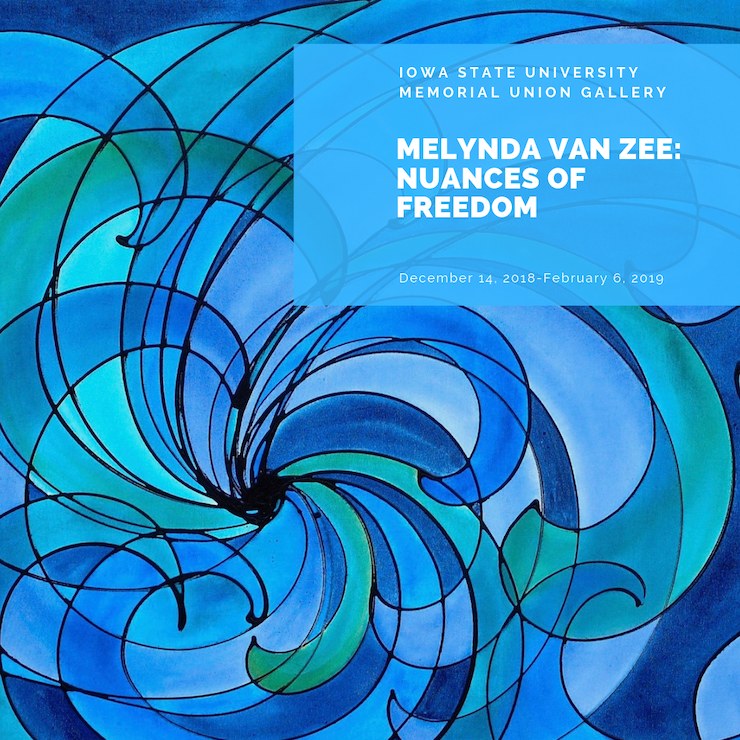 I’m excited to share that my solo show “Nuances of Freedom” will be opening December 14, 2018 at the Iowa State University Memorial Union in Ames, IA. This show will feature over 25 of the paintings I created through a process of carefully observing my own creative practice. One thing I’ve learned after years of creative work-either my own creative work or nurturing the creative work of others, is that paying attention to the little things is important. When I first started out on my own personal creative journey, I thought “If I just had a beautiful studio space, then i could make things” or “If I only I didn’t have to go to work so much, then I’d have the time to create paintings.” These avoidance thought patterns were not helpful to my creative work. I know in my own creative journey that has been just as hard to start a painting if I was in my basement working on top of a door laid over two filing cabinets or in a well-lit sunroom with big windows and a great easel. My experience is that while “lack of studio space” or “lack of time” are some of the easiest excuses to why we say we can’t do something creative, these are surface level issues. They are rarely the true reasons for why we have such a difficult time beginning, continuing or finishing creative work. There are often much more hidden, subtle, and nuanced reasons why we are not giving ourself permission to pick up the pen, pour paint, or make a life change. We often deceive ourselves that the real reason we don’t create is due to outside forces or circumstances. The reality is that most times this truly is a “inside job”. It is the internal issues that are creating the roadblocks. 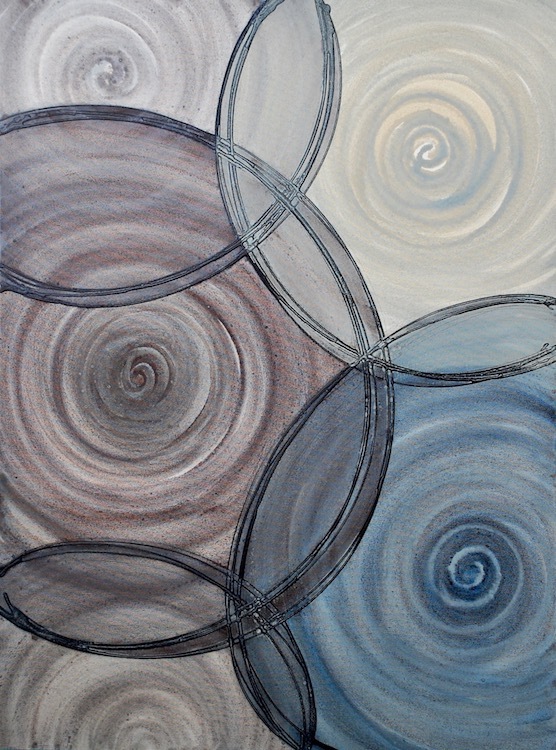 The lines, colors, and movement of these paintings are brief moments of captured energy from my own growth process. They are a reflection of the inner changes and experiments I’m exploring as I work to intentionally build a lifestyle of creative freedom. 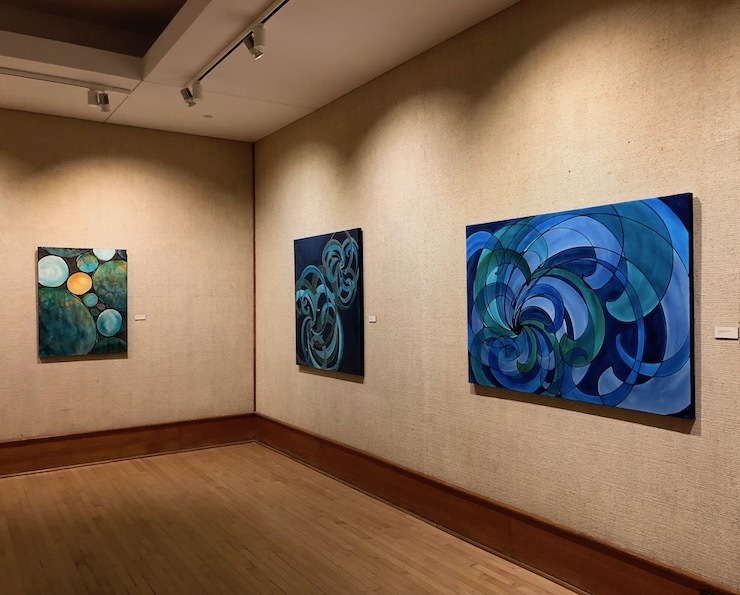 “Nuances of Freedom” opens December 14, 2018 at the Iowa State University Memorial Union in the Gallery. 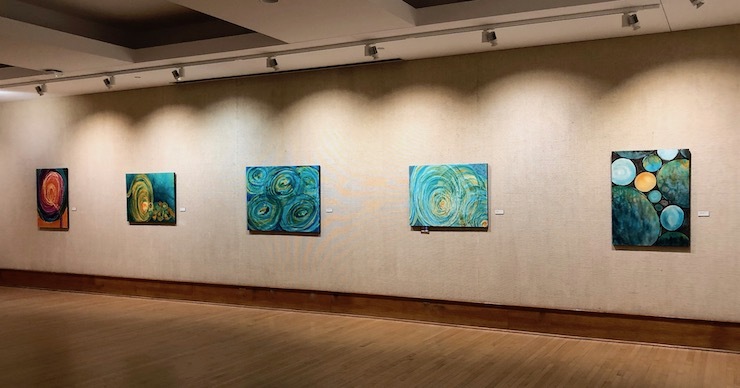 The Gallery is on the 3rd floor of the Memorial Union located at 2229 Lincoln Way Ames, IA 50011. The show runs through February 6, 2019. The gallery is free and open to the public 8 a.m.-8 p.m., seven days per week unless reserved for meetings. Call 515-296-6848 to confirm open viewing hours. After the show opens, watch for photos on my social media accounts. If you don’t already follow me on Facebook or Instagram, please feel free to join me. 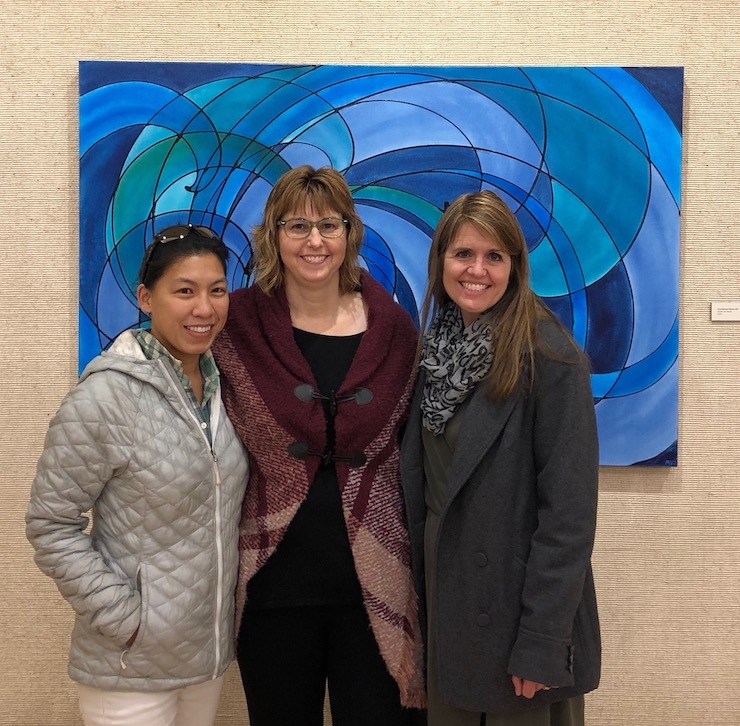 You may also want to mark your calendar now for the Art Reception for “Nuances of Freedom” on Tuesday, February 5, 2019 from 6-8pm in the Gallery. If you are interested in nurturing your creative heart with inspiration, vibrant color and beautiful art from Melynda Van Zee Studio, please subscribe to our monthly “Dear Creative Heart…” newsletter.